Surrey’s first ever supervised injection site — and B.C.’s first outside Vancouver — hit a record high number of daily visitors this month. 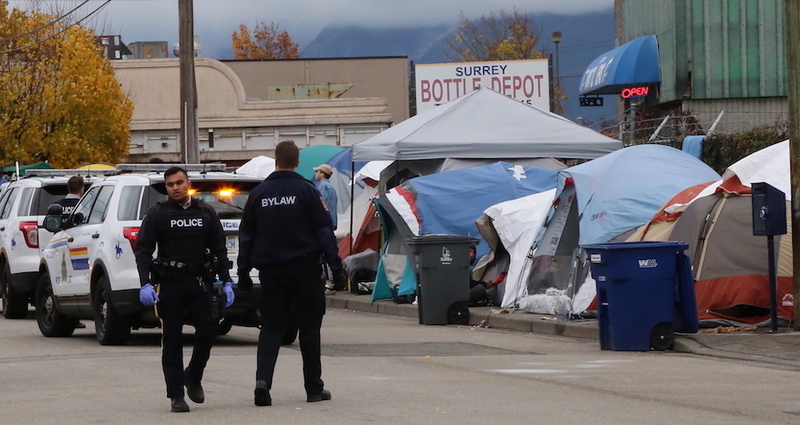 On Nov. 7, the small portable consumption site on the notorious “Whalley Strip” saw 253 visits from drug users looking for a space to safely inject drugs. 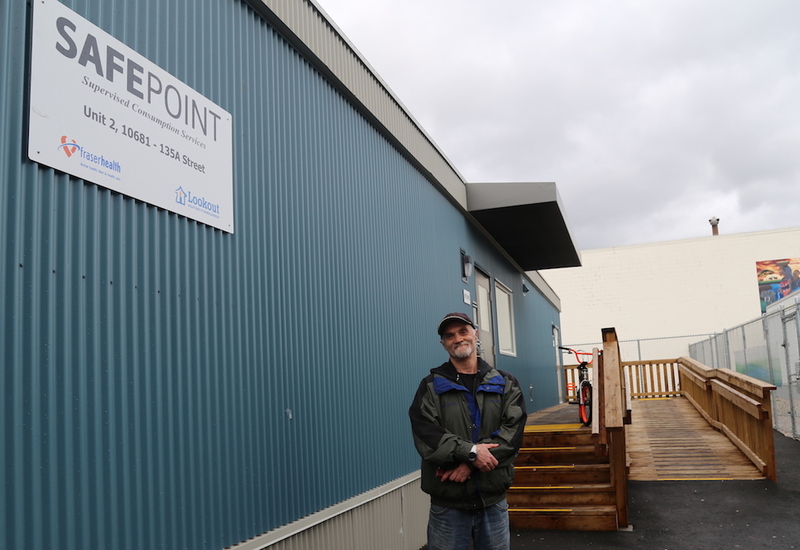 Six months after opening, SafePoint staff say the site often finds itself full, with drug users having to wait to get a seat at one of their seven injection booths. Ronnie Moloughney, an advocate for drug users, standing outside SafePoint. “We never used to have people on the wait list, and now we have people on the wait list waiting to get in to use a consumption room, probably like 20, 30 per cent of the day,” said Rachelle Gauthier, one of SafePoint’s client care co-ordinators. The timing of SafePoint’s opening, in June, came at a period when illicit overdose deaths were at an all-time high in Surrey. In May, 21 people died, the highest number of monthly overdose deaths in the past two years. The city has consistently seen the second-highest number of illicit overdose deaths in the province, after Vancouver. The impact of SafePoint on this public-health emergency is apparent. Since opening on June. 8, SafePoint has reversed 242 overdoses on site with zero deaths. Fraser Health emergency departments have also seen a decrease of 150 suspected overdose events on average per month since SafePoint opened. 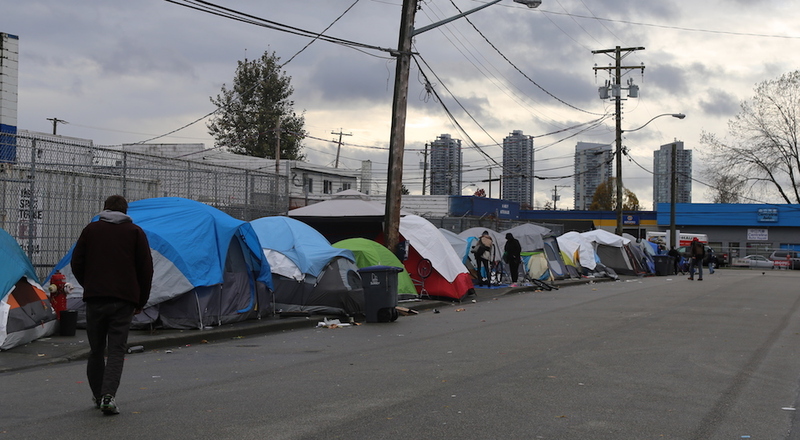 Frontline workers have also seen the impact, particularly on the strip of 135 A Street that is lined with dozens of tents, home to some of the city’s most vulnerable residents. Staff from the Lookout Aid Society, one of the organizations that runs SafePoint and the shelter next door, have been administering far less naloxone on the strip, said Shayne Williams, the society’s executive director. But as the number of visitors increases steadily, some staff say they’re feeling the pinch. SafePoint saw over 2,000 total visits in June. By October, the number of visits had increased by more than 50 per cent. “Our numbers are going up and up. We’re managing with the size of the space we have now but in the future who knows,” said Sherif Amara, another co-ordinator at SafePoint. He anticipates SafePoint could one day see over 300 visits a day. “It’s difficult, because it’s portable, right. It’s not very big,” said Amara’s colleague, Gauthier. She said space can be an issue particularly when the site is full and there are multiple overdoses occurring. However, Williams said there are no plans for expansion, mainly because SafePoint does not have the land that would allow adding another trailer for more space. “We might expand a waiting spot for folks if we absolutely need to, but you won’t see more booths put in,” said Williams. While SafePoint might be at capacity, there are still many drug users frequenting the stretch of 135 A Street who choose not to use the injection site. People on the street say that it’s the proximity of a police station near the injection site that keeps some away. Drug users have to walk by the community police station in order to access SafePoint. The Surrey RCMP has set up a community policing station directly in front of the injection site and drug users on the strip say this is a barrier for many people, especially for those who have warrants. “They set up camp right in front of the place. It’s intimidating to a lot of the people are using. 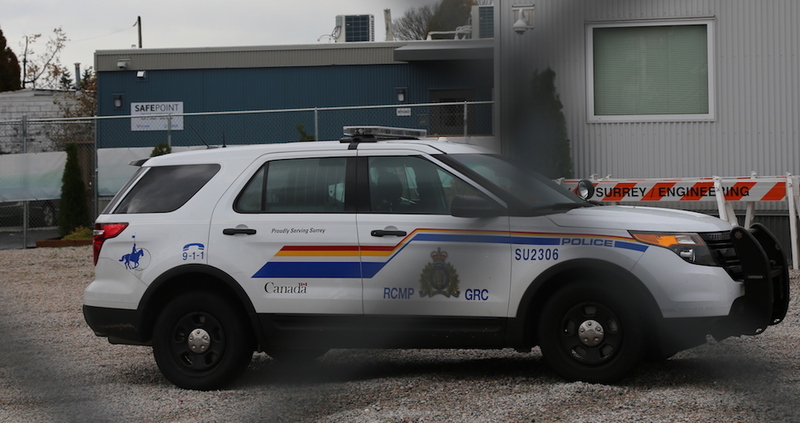 They don’t want to go in there and use for the simple fact that the RCMP station is right there,” said Ronnie Moloughney, the former president of the drug users’ advocacy group DOPERS. He says, ideally, the police would pick up and move their community station down to the end of the block. The Surrey RCMP surveying the strip after pulling a man out of a tent and handcuffing him. Shayne Williams is aware of these concerns but says the RCMP and the City of Surrey have been working incredibly hard not to harass users on the strip or arrest people using the site. “The target for the RCMP is really not your daily user. They’re really focusing in on more the dealers, or organized crime, or chronic offenders, violent offenders, rather than somebody who is suffering from addiction,” said Williams. With the high number of overdose deaths Surrey has witnessed over the past few years, Moloughney says he’s relieved there’s finally an injection site on the strip to control the number of overdose deaths. “This program was taken from other countries where it was successful. So if it worked there why would it not work here?” said Moloughney. Standing outside SafePoint, a man from New Jersey said he’s grateful for the availability of injection sites in Canada. He talks of friends back home who died from overdoses. He himself has a prominent scar on his throat from a tracheotomy that he says had to be inserted in his neck after overdosing in New Jersey. He didn’t mind that he had to wait a few minutes before using his drugs at SafePoint that day. “SafePoint saves lives. It’s a great, great system. Everywhere should have a safe–injection site,” said Darren.